There are certain things in life that you plan along the way but won't always push through. My spirit was dampened when I had to cancel a few trips during the summer due to my fractured foot. Not only was I on house arrest for the whole season, I also couldn't leave my room that easily because of my cast. It felt like I was in prison. Yet I still I had some hope that I would get that last summer getaway. True enough, my family was invited to stay for a few days at Blue Pavilion Beach Resort, Infanta, Quezon. Blue Pavilion was a 5-hour drive from Quezon City. My family and I didn't have a hard time finding the resort, as the directions that were posted on their site was easy to follow. I felt a sense of tranquility upon entering the resort premises. The tall pine trees that surrounded and greeted us were definitely something worth admiring. Imagine a beach resort with pine trees in every corner. It was such a relaxing ambiance. Now other than the genuine hospitality that the owners extended to my family, I also felt very much at home. There were only a few resorts around. So we pretty much had the whole place to ourselves (we were there from May 31-June 2). The wide, open and pebbly sand had an earthy tone to it. It just turns into a darker shade when it gets wet. Anyway, we noticed a few minor hitches by the beach. The first one was the ocean water. Anyone who's taken a dip has certainly come out with a brown stain on their clothing. Other than that, the beach wasn't all that clean. There were a few dead branches and some plastic articles lying around. Although, the area that Blue Pavilion owned was clean and well maintained. 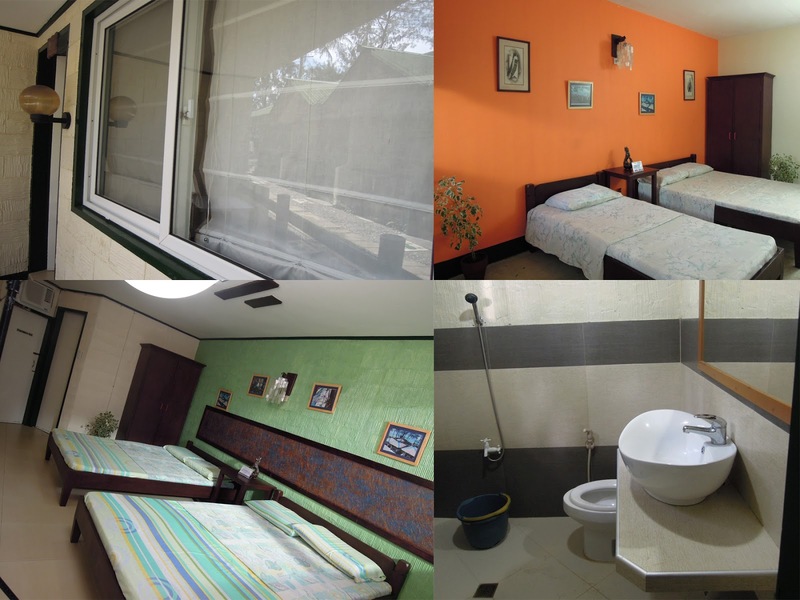 The Blue Pavilion rooms were all very spacious, and was furnished with all the basics fittings. And for a group of 8 (6 adults and 2 kids inside the room), we were provided with 2 comfy beds, a pillow each, some blankets and extra mattresses. The room that was also given to us had an AC unit, a wooden cabinet, a small bed side table, and a few electrical sockets. We also had a private bathroom. Now, the water that streamed from both the shower head and faucet were very ample. But there wasn't any hot water to use, so late night baths always froze me to death! Anyway, the rooms that were adjacent to us were mostly fan rooms. The spaces were also furnished, and also looked very stylish and presentable. You can check the updated room rates on their website. Now, the resort didn't offer any Wi-Fi connection, so I wasn't able to do any checking online. But it was also a good thing, since I was able to focus more on what my family needed of me. There were a few cottages inside the resort. But the best thing about that particular area was that everyone was allowed to cook and grill outdoors. There was a long grilling unit that was just a few steps from the cottages, which could easily accommodate several 'grillers/users'. But apart from that, there were also sinks, bathrooms, and shower units nearby that were made available for public use. I just had my foot cast removed at the time and was still limping, so I wasn't able to try any of the activities that Blue Pavilion offered. For starters, swimming was highly encouraged. 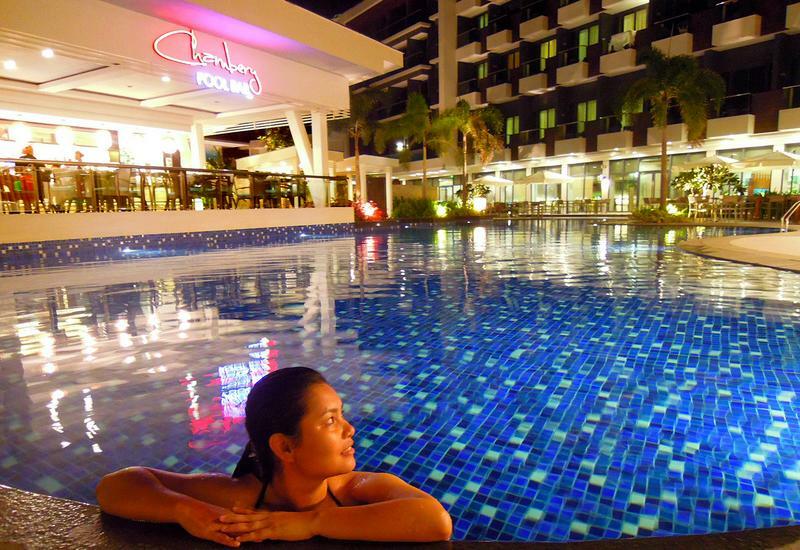 You can definitely go for a swim by the beach or by their small, plastic pool (ideal for kids that are 4 feet below). You can also use their outdoor facilities, as the resort offered a wide range of activities. 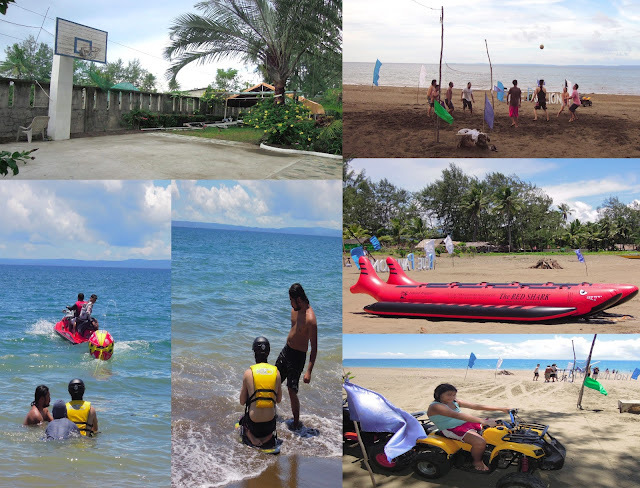 My family was able to play/use some of the following games: play basketball, billiards, table tennis, frisbee, beach volleyball, badminton, ride the ATV (All-terrain Vehicle), Jetski, double-seater banana boat, knee-boarding and snorkeling. You can also play a few of their boardgames or use their Videoke machine at night. And if these aren't enough, you can always request for a bonfire to be setup (should you need one for your gathering/s). Blue Pavilion has a sun deck, which turns into a restaurant (The Deck Restobar). Although we weren't able to see the restaurant and its staff in action (since the resort was closed for a family event), we were still able to use the space during mealtimes. The roof deck also exuded a chill ambiance. It didn't feel that hot since there were a lot of pine trees that provided ample shade (other than the existing umbrellas that protected us). My sister-in-law's niece actually celebrated her 1st birthday in the resort. And the party was held at the sun deck. My cousins had a hard time buying raw foodstuff (meat, fish products, ice, alcoholic and soda beverages, etc.) from the marketplace since it was a bit far from the resort. There was an in-house store. But it wasn't fully stocked. So if you intend to cook your own food at the resort, you can either bring your pre-stocked goods or go to the market. All in all, our stay in Blue Pavilion was a lovely one. It was the first summer outing that I didn't have to worry about (didn't have to think about finding a summer destination, budgeting, etc.). So it was definitely a relaxing vacation. Heck, everyone had lots of fun! Should you feel like visiting the resort, you can check Blue Pavilion Beach Resort's website or Facebook Page for more information. Note: This is a sponsored stay with Blue Pavilion Beach Resort. (Budget Biyahera) I do not represent the thoughts, intentions, plans or strategies of the establishment or its owners. All views and opinions shared on this website are solely my own. Me and my team in the office are always on the look out for places to slumber in team buildings. Out of town as always, this one looks very affordable, and there is the AC accomodations that some of my collegues cant live w/o. 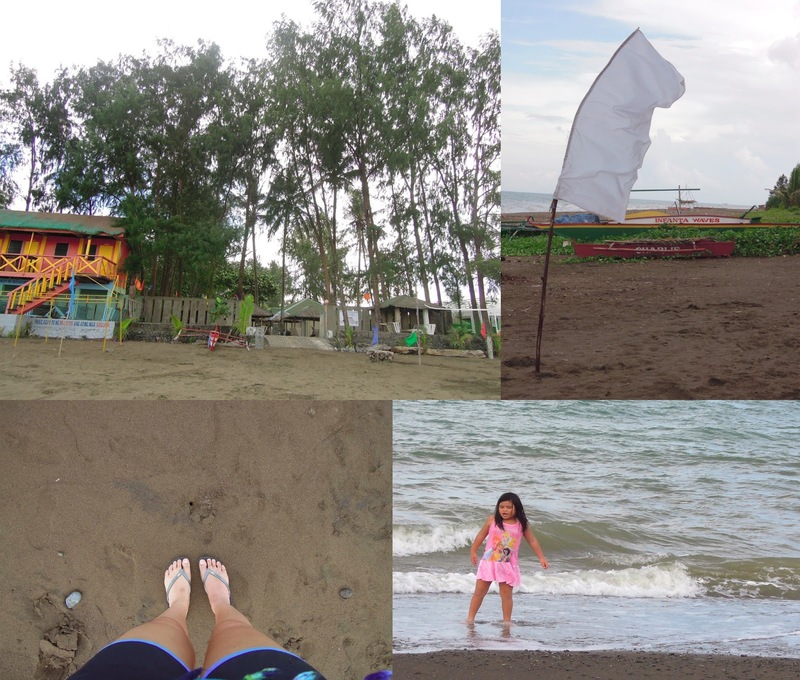 We recently went to Morong Bataan, in a bali inspired resort..
kind of pricey with similar offerings as the Blue Pavilion, except perhaps the infinity pool. I was looking for the drive and directions to Blue Pavillion, but never mind. i kind of feel bad for you Mai as you werent able to enjoy the facilities that much because of injury. At least you still enjoy summer, and family bonding is that counts. I usually turn off my phone when I'm on vacation, to restrain myself from other things and just enjoy. It looks like a nice value for money vacation spot. The room looks fine and really cozy. 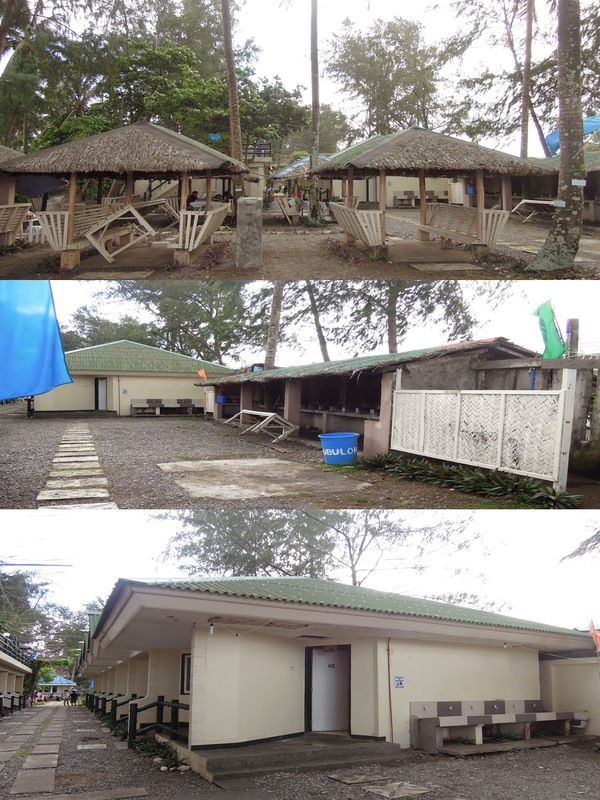 Nice place to consider for family bonding and company outing which is near if you want to go a beach. I'll try to see their rates thru your links so as early as now we can plan already our summer outing, I'll check if it is more accessible to reach their place if we will travel via Marcos Hi-way because all I know is that Infanta is right after Siniloan. Yey! good-timing! I am planning to go back in Infanta this coming Nov. Been to Infanta twice- lapit lang kc sa Siniloan- my 2005-2007 job assignment. Will bookmark your post Mai- the rooms and the whole spot looks Good. Opps Ganda nung 2nd photo! I checked their rates and mura nga talaga.. never been to Quezon kaya if ever magplan kame, this resort will be on my list :) thanks for sharing! Super nga sis! Buti at nakahabol pa sa summer. :) And thank you!